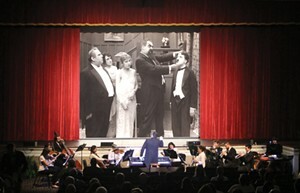 Spooky Silents | Spruce Peak Performing Arts Center | Seasonal, Theater | Kids VT - small people, big ideas! The audience boos and hisses at three ghostly silent films from the early 1900s, paired up with historical orchestral scores performed by the Peacherine Ragtime Society Orchestra. All ages.